McKinley Augustin is an associate attorney at Law Office Of Byrnes Guillaume. McKinley holds a Bachelor of Arts degree in Humanities from Florida State University. He earned his law degree from Atlanta’s John Marshall Law School in Atlanta, Georgia. During his legal academic career, McKinley functioned as a student criminal defense attorney under The Law School Public Prosecutor Act of 1970, served as an active member in the Black Law Student Association and Caribbean Law Student Association and worked as an intern for a private civil litigation firm in Jonesboro, Georgia. 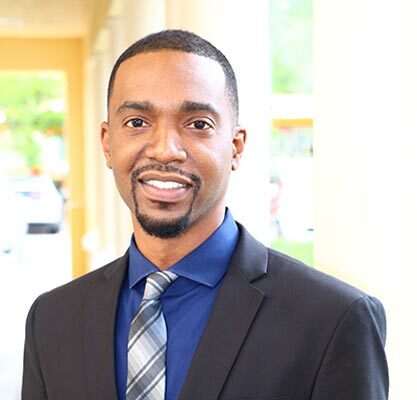 He earned a LexisNexis legal certification for outstanding legal research and later returned to his hometown in South Florida to practice law. After passing the Florida Bar, McKinley sought after and obtained pro bono cases for low income individuals and families in an effort to serve his community. He later endeavored to start his own small practice in the spring of 2016, successfully handling criminal and family law matters.